Native Edge, LLC, is a full-service landscape architecture firm specializing in ecologically focused design fit for the 21st century. Our design philosophy is simple — work with nature, not against it. Mimicking the natural environmental processes and native ecology of a site is the first step in unlocking its truest potential, and is the foundation upon which all our projects are built. Our mission is to blur the lines between the built and natural environments, and create resilient, innovative places, in harmony with the environmental, social, and economic needs of the area — thus becoming a seamless, integral part of the greater landscape. Plaster Creek Stewards is a collaboration of Calvin College faculty, staff, and students, community partners, and residents working to restore health and beauty to the Plaster Creek watershed through education, research, and on-the-ground restoration. We strive to educate the community about watershed ecology and to develop a growing group of people who understand the strengths, needs, and problems affecting the Plaster Creek Watershed. With each of our educational events, we also provide an opportunity for people to take specific action to restore the watershed either through working in the greenhouse, installing a rain garden, planting trees, or other restoration project. Research is key to addressing the issues polluting Plaster Creek. We are researching stormwater related pollutants, the social history of the Plaster Creek Watershed, as well as best management practices for watershed restoration. We are also amassing a dataset of how various plant species fare over time and which site conditions are important for determining species' survival. 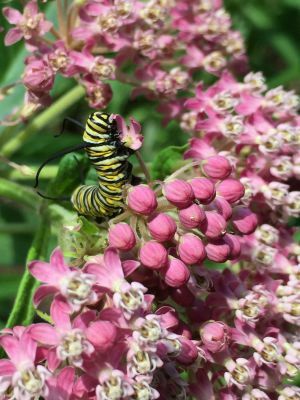 Native plants are essential for a healthy watershed and Calvin College has a native plant nursery and rainscaping initiative that enables us to implement on-the-ground habitat restoration throughout the watershed. We provide plants, consulting, site design, installation, and maintenance for restoration projects in the Plaster Creek Watershed. We collect seeds locally, germinate and grow these native Michigan plants in our greenhouses, and use these deeprooted plants in watershed restoration projects like rain gardens, bioswales, floodplain restoration plantings, or other sustainable landscapes. 25 years of residential, commercial, and higher education campus planning and landscape architectural experience punctuate Rebecca Marquardt’s sustainable and restorative design approach. Rebecca’s professional practice and education is rooted in Madison, Wisconsin with professional experience in the states of Washington, Colorado, Iowa, and now Michigan. Creativity, technical problem solving, and collaboration guide Rebecca’s projects and consistently deliver the results clients expect. 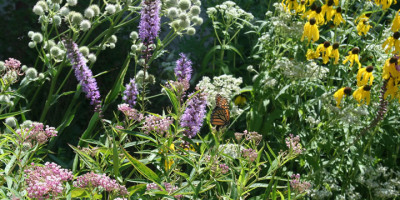 This approach is grounded with certifications in: Native Plant Master program through Colorado State University, Master Gardener from the University of Wisconsin Extension, CSU and Michigan State University, Master Naturalist program through MSU, and Land Ethic Leader from the Aldo Leopold Foundation. 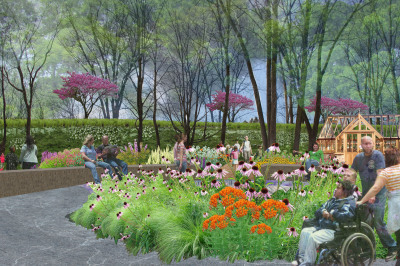 Recent design consultations and project work includes: community gardens, green infrastructure and best management practice design guidelines, place-based educational design for Groundswell through Grand Valley State University, and work as a naturalist at the Wittenbach Wege Nature Center in Lowell, Michigan. 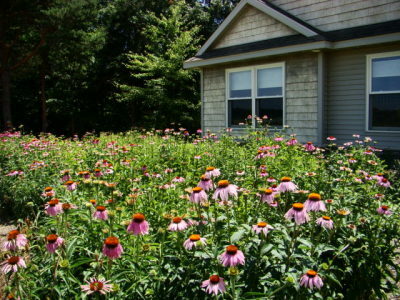 Amy Heilman has been designing and implementing gardens for over 15 years and her business “The Living Garden” specializes in creating gardens of function and beauty using native plant species. A Michigan native herself, she learned to love the outdoors and its many ecosystems while living and working in the Upper Peninsula for 20 years. There she earned degrees in Natural Resource Management and Biology and worked in Fire Management for the Department of Natural Resources. A move to coastal California provided her work experience in native plant nursery operations and landscape restoration. After earning a degree in Landscape Horticulture in 2001, she began the garden design business she enjoys to this day. Her goal is to encourage home owners to take an active role in the planning and care of their gardens and to use these spaces to learn about the natural world and the web of life they support. She volunteers her time with several environmental organizations including River City Wild Ones, West Michigan Land Conservancy, Kent/MSU Master Naturalists and the West Michigan Conservation Network.